VMworld 2016 is just around the corner with less than 20 Days Left most of us who are going to VMworld this year have already registered for their favourite sessions. Recently VMware announced the official list of VMworld 2016 bloggers for whom the Blogger tables will be set up in the Social Media & Community Area. 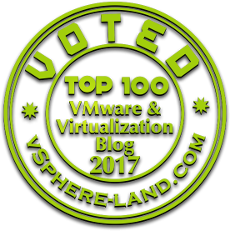 Looking at the below list i am also one of the Lucky Guy who made up to the official List this year and Big Thanks to VMware and the Social Media Community team for Providing the Blogger Pass to me. Personally i really don't want to miss this golden opportunity of being there in VMworld2016 US sitting next to fellow bloggers listening and meeting to the world's greatest Minds. So looking for someone to sponsor my Flight tickets to VMworld 2016 US this Year. Contact me on twitter @kanishksethi or drop me an email on sethikanishk6@gmail.com and we can discuss about it.